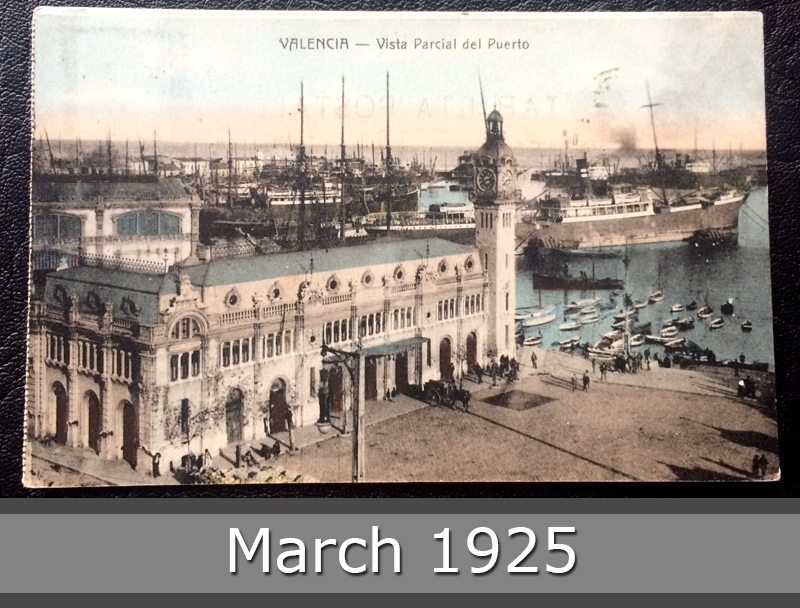 Such a beautiful postcard from year 1925. You see the port of Valencia in Spain, with a lot of ships. Little boats, big ships. 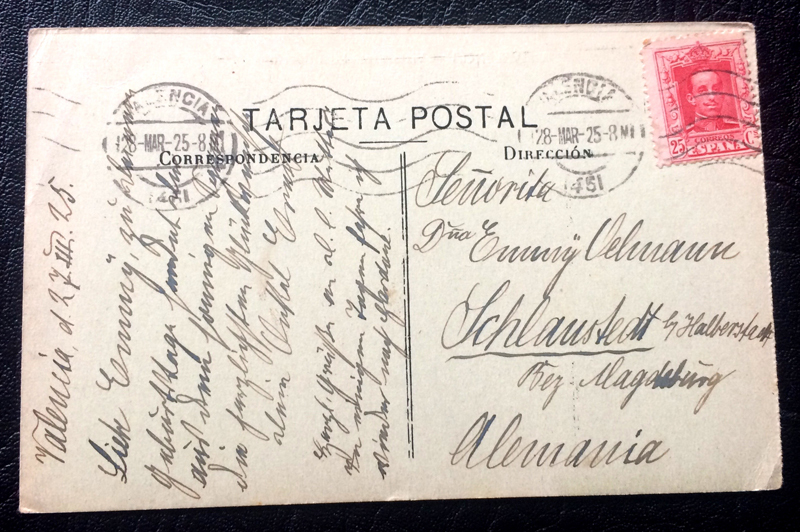 This postcard goes to a little town near Magdeburg in Germany – Schlaustedt.